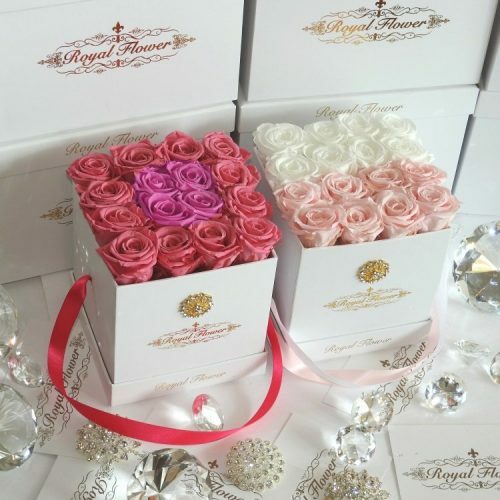 Each box contains 1 stem of eternity rose which arranged perfectly in our royal acrylic box that adorned with a very nice diamond as well as small diamonds inside the box to make it even more luxurious. The final gift will be wrapped with our elegant custom made ribbon. 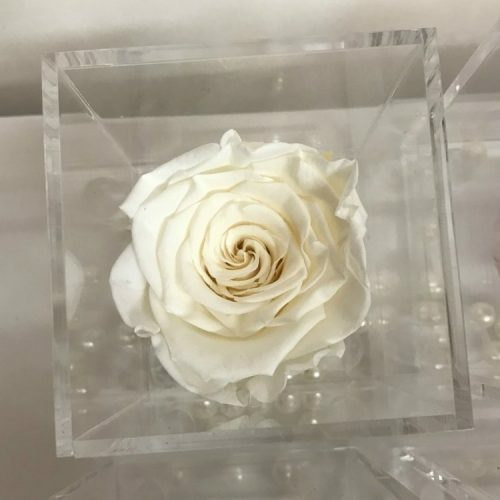 This high quality and luxurious acrylic box including 1 stem of eternity rose that will last a minimum of 1 year when there is no direct contact to sunlight, excessive heat or moisture. Each rose is unique to its own, carefully produced to retain their original texture and shape. With absolutely no maintenance or watering required. The flower/plant is harvested at the ideal point in terms of natural beauty. The freshly harvested plant enters a proprietary process to absorb a specific mixture of 100% plant-based and bio-degradable preservation formula. The preservation liquid replaces the sap and water within the plant, effectively forming a still-image of nature, creating a unique and 100% natural product. The preserved flowers and plants remain beautiful and unchanged for months without watering, light and virtually maintenance-free. All roses are real and natural. The roses have been treated with a plant-based and biodegradable preservation liquid. No toxic ingredients are used. The eternity roses are much more efficient than fresh- cut flowers, due to their long shelf life and low energy transport and storage. 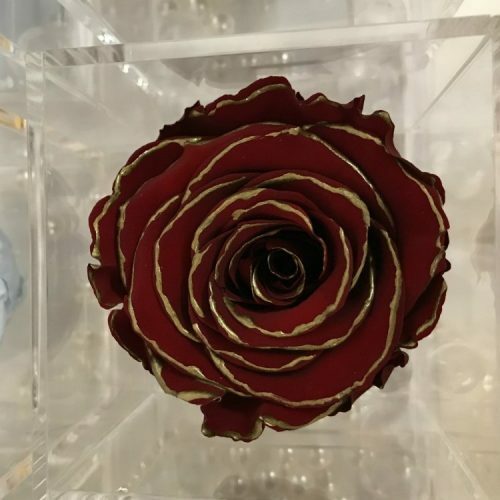 The result is that the preserved roses have a carbon footprint significantly lower than for both fresh-cut and artificial flowers. 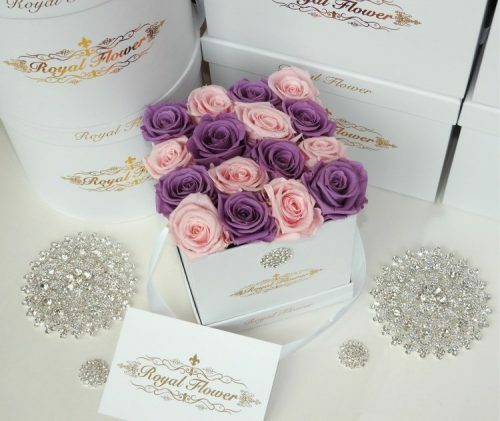 The unique attributes and broad variety of eternity roses make them useful in a vast array of situations. This luxurious product made with love in Toronto, Canada.